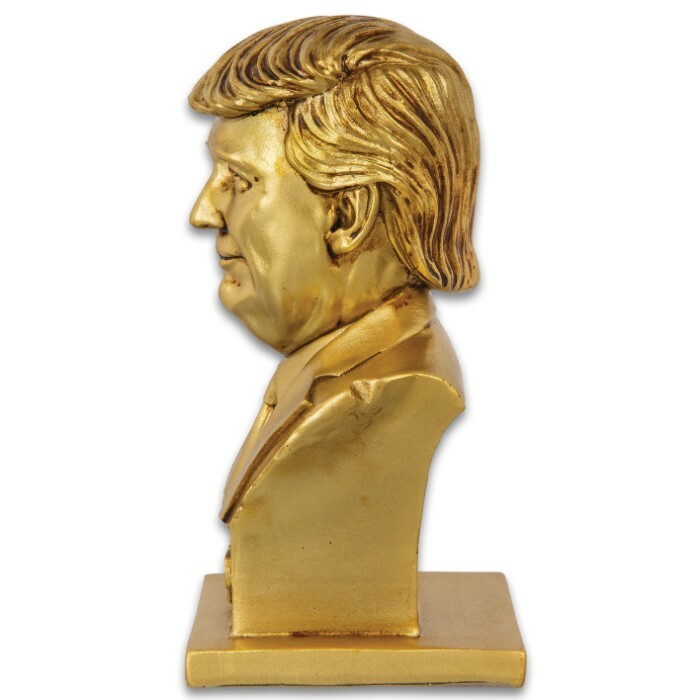 You won’t believe the portrait-like details of our President Donald Trump Bust when you actually lay eyes on it! 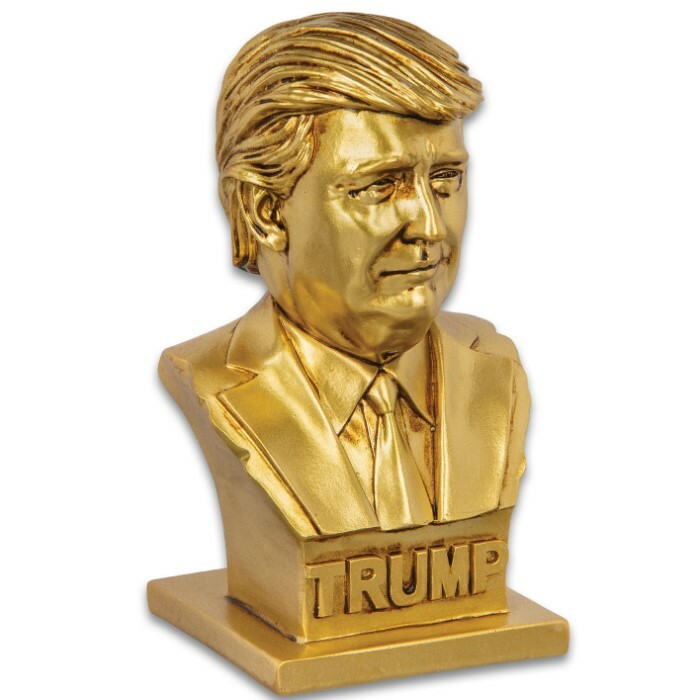 The collectible display piece is an absolutely incredible likeness of the President and looks as if it’s cast of real gold. 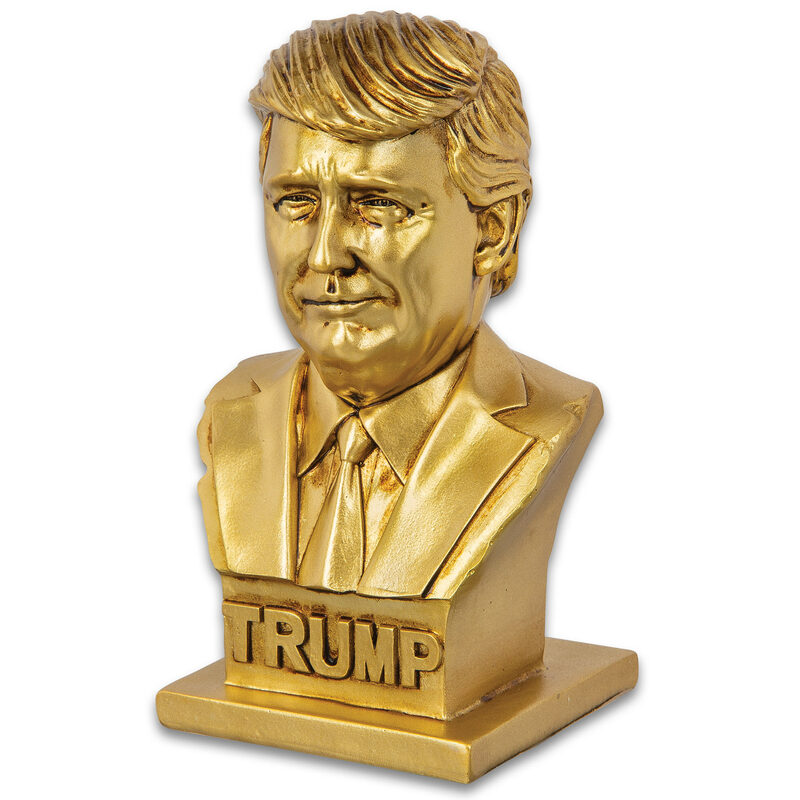 The bust is expertly sculpted of metallic gold polyresin in intricate, portrait-like details and the base of it says “Trump”. The sculpture’s dimensions are 6 1/2”x 3 1/2”x 3”, making it perfect for your home or office desk, a bookshelf, a credenza or curio cabinet. 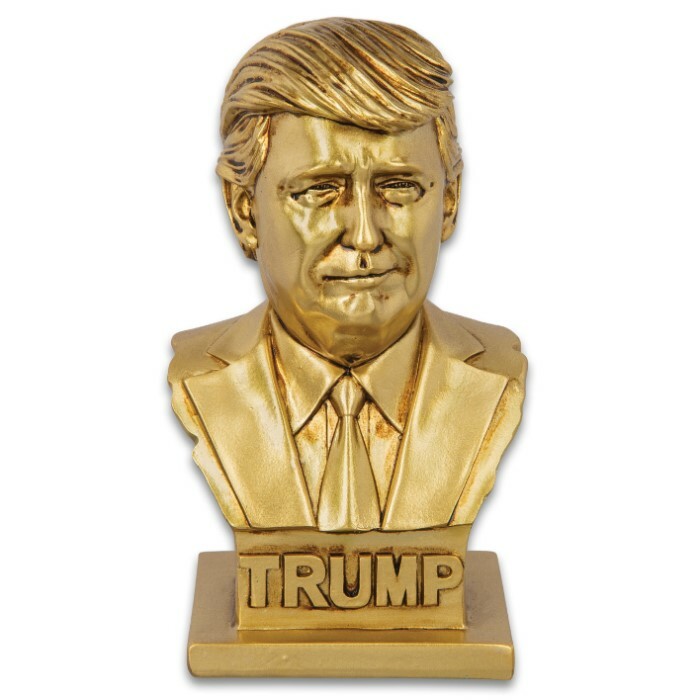 There are only a limited number of these fantastic commemorative sculptures, so make sure you secure one before they’re gone! Beautiful looking Trump Bust at a Fair Price. Nice and Solid and the Perfect size to place anywhere you want to. I put mine on my Dresser next to my TV. Will probably be Worth more in the future when they're hard to find so I will pass it down to my Kids. Great way to show your Support for the President of the United States !! - MAGA2020 !! CNNSUX !